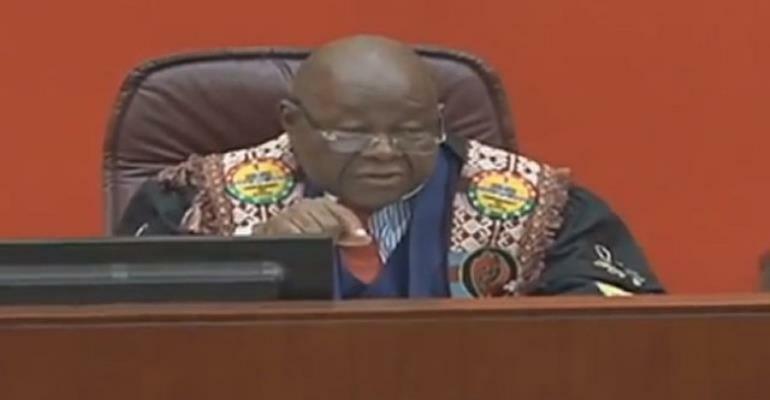 Speaker of Parliament, Professor Aaron Mike Oquaye has quashed a move by the Bolgatanga East Member of Parliament (MP) reportedly calculated to stampede the approval of Special Prosecutor nominee, Martin Amidu. Dr Dominic Ayine had risen on a point of order asking the Speaker to stop a debate on the Appointments Committee’s report on the vetting of Mr Amidu last week. Quoting Parliament’s Standing Orders 91(1), the former Deputy Attorney-General said it was not right for lawmakers to discuss a matter pending a judicial decision. The lawmaker has taken the matter to the Supreme Court challenging the nomination of the anti-corruption over his age. 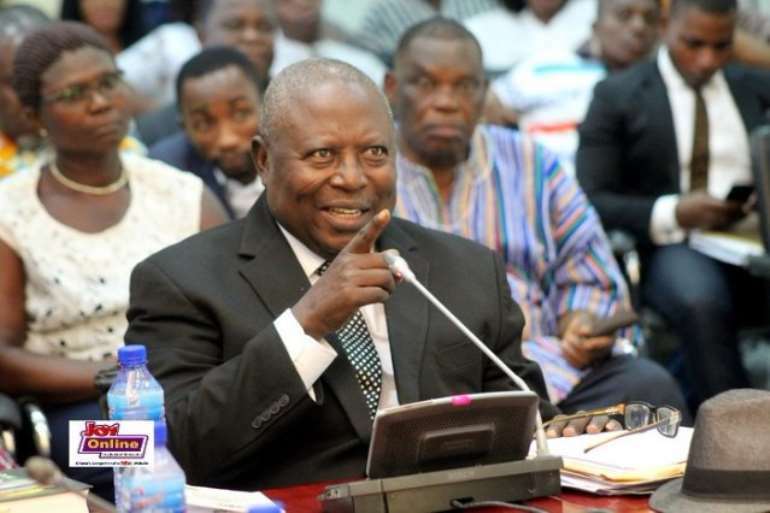 Mr Amidu is 66 but the Ranking Member on Parliament’s Legal and Constitutional Affairs Committee said he is not qualified to serve as a Special Prosecutor. In his bid to caution his colleagues to tread cautiously, Dr Ayine courted the displeasure of the Speaker who described the intervention as "incompetent." The political scientist did not fail to school the lawmaker on separation of powers, averring the concept requires all three organs of government to be independent. 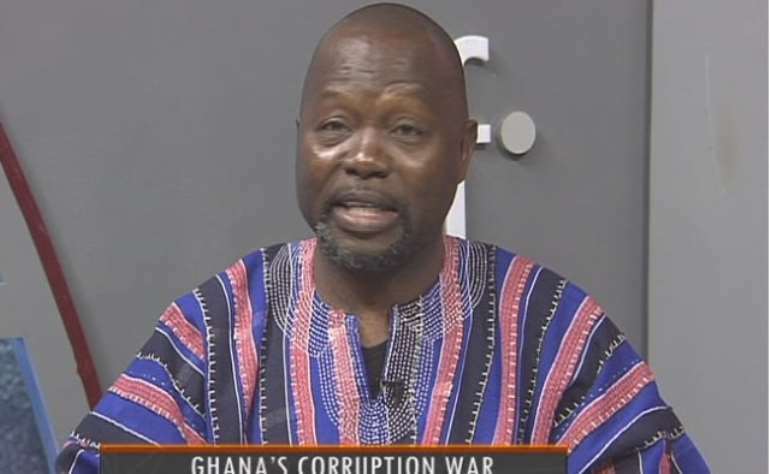 “If a mere filing of a writ in any court should stop parliament from doing its work then, of course, parliament is subjugated automatically to the court,” the former University of Ghana political science lecturer said. Delving into the suit before the apex court, Prof Oquaye said he has not been served a copy as leader of the House. “There is nothing before me…to persuade me that the matter allegedly before the court or any matter regarding same or any order is such that parliament cannot do its work,” the Speaker said. But speaking to Evans Mensah on Joy FM’s Top Story Tuesday, the Bolgatanga East MP said the Speaker erred in his ruling. “I do maintain the Speaker is wrong, when you rise on order in substance what you are saying is that an order in the house is about to be breached…it was in relation to the fact that there is a matter which is pending before the Supreme Court,” he said.